Do you like super sweet, soft, fresh or firm best? Don’t just pay attention to the shape; after all, they all look good enough to gobble up! It’s primarily about flavour, flavour and still more flavour. Which summer sensation will you go for? We’d like to introduce you to: Lambada, Elsanta, Sonata, Viva and of course, our own specialities, the pineberry, strasberry and bubbleberry. Each one has its own flavour, bite and unique character. We raise all of them with the same love and attention, giving them the very best nutrition and a wonderful living environment, before picking them with the utmost care. Do we pamper them? You bet! We start the Dutch strawberry season early with the oh-so-beloved Lambada strawberry. You simply couldn’t ask for a finer or tastier fruit. The Lambada is a delicious bonbon straight from nature, bursting with wonderfully sweet juice, with a soft texture that melts in your mouth, and don’t forget, a lovely crown on top. 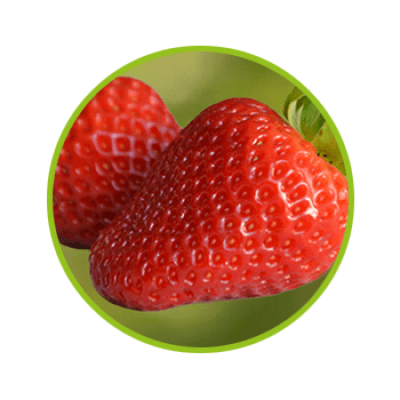 We pick this strawberry for the true strawberry-lover from halfway through February to around the end of June. Pop into your local fruit and vegetable specialist to ask if they’re available – perhaps you’ll even be offered one to taste. Beware, though – once you’ve tasted them, you’ll probably never want anything else! The Elsanta is perhaps the most well-known strawberry variety. And for good reason! 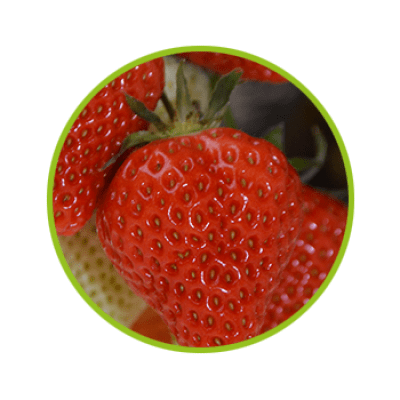 Elsanta strawberries have an excellent flavour and, because they’re a little firmer, they also have a longer shelf life. At Beekers Berries, we grow these delectable, summer-scented strawberries with a mouth-watering flavour from April to the end of December. With its attractive cone-like shape and orange-red colour, the Sonata is a stunner. Sonatas are comparable to the Elsanta in many ways; they have an excellent flavour, they’re firm, and you can keep them for longer than other varieties. When can you enjoy these summer-sweet strawberries? We grow Sonatas from December to June! Viva is quite new to the Beekers Berries range. 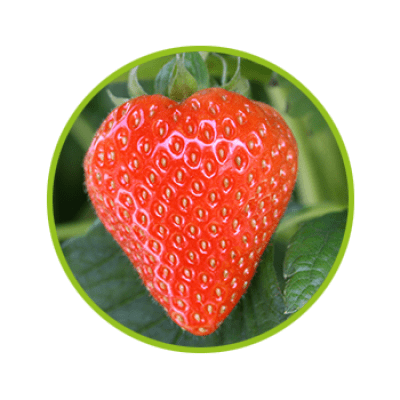 We’ve been cultivating the Viva strawberry for about two years now, and although it may not be as well-known as the Elsanta and Sonata varieties, it’s certainly just as tasty! This early spring variety with its extremely sweet flavour and surprising bite is available from March to June. Our smallest variety, but certainly not the youngest! The pineberry, or the Fragaria X Ananassa, as it’s officially known, is actually one of the oldest strawberry varieties in the world! 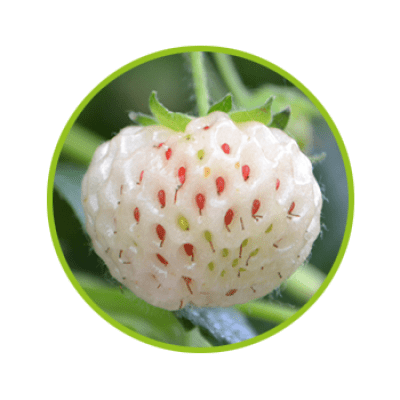 With its white colour, red seeds and delicate fresh, sweet and slightly pineapple-like flavour, the pineberry is a striking inclusion among the strawberry range. The pineberry very nearly became extinct before we’d had the chance to enjoy it. Fortunately, however, our Dutch strawberry breeder Hans de Jongh jumped in to stop this from happening. The result: after a lot of patient research, we are now cultivating and harvesting it once again! Please note, the pineberry is only available between April and June, and in the autumn from September to December. The strasberry is already almost a century old. It’s small in size and has a striking appearance. 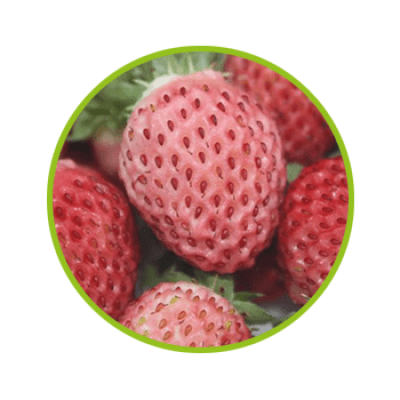 Because the seeds are embedded a little deeper, it looks like a raspberry, but we can assure you that it’s 100% strawberry with a 100% deliciously sweet summer flavour and scent. Just like its companions in our specialities range, we harvest it from April until June! The bubbleberry completes our speciality range. With its strong, delectably sweet scent, you’ll be able to smell it before you see it. Seriously! You’ll be amazed at how much fragrance can be contained in just one small, pink strawberry. And what about the flavour? You might not believe it, but this extraordinary pink strawberry tastes just like pink chewing gum! Would you like to taste it for yourself? These healthy sweets are available from April to June at the better fruit and vegetable stores. Without warmth, there’s no life or growth. So we cherish our fruit with all the warmth we have. The warmth of our hearts. In the greenhouse. On the land. From the sun. In a continuous cycle of reuse, where possible. It’s no coincidence that our home base is in North Brabant. This region is the cradle of the strawberry. 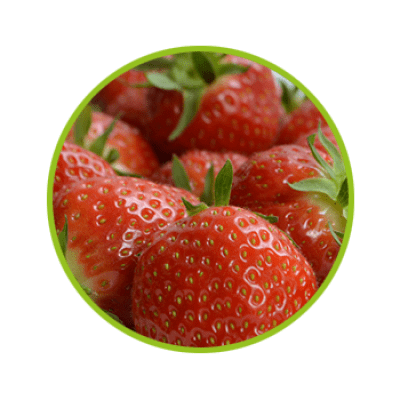 Brabant has been providing the most delicious strawberries from its sandy soil since as far back as 1400. We respect our origins and nature. Love for beautiful soft fruit, for life, for nature, for delicious food, for enjoyable work and for each other. That’s what unites us. We hope you’ll be able to taste that in every strawberry, raspberry, blackberry and blueberry to our name. 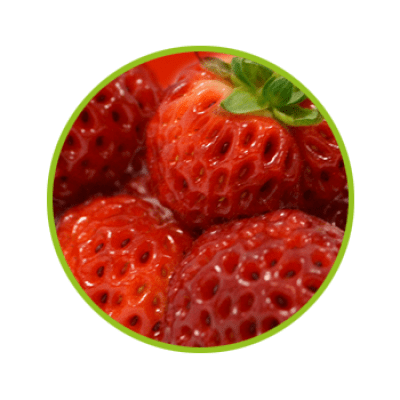 We invest continuously in knowledge, technology, the conditions, and our people in order to cultivate the best varieties of strawberries, blackberries, raspberries and blueberries. Each fruit should be a delectable mouthful of summer. Always and everywhere.